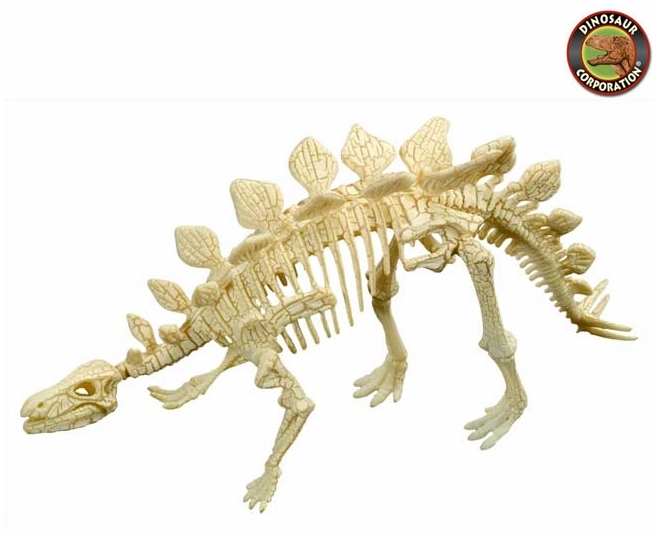 Jurassic Stegosaurus dinosaur dig in sand bones skeleton for kids activity. This bones model replica is easy to assemble. Kids love to discover dinosaur fake fossil bones in sand.